Yosemite Forum • View topic - Ahwahneechees from NEVADA?? No such thing as Nevada Miwoks. I got an email today and I was pretty shocked. I am part of group of Yosemite Indians that like to talk about Yosemite Native history. I got this email today about Lafayette Bunnell's book Discovery of the Yosemite. I remember seeing it before, but didn't think about it til some of the Paiutes started to question the LIES that the Yosemite National Park was pushing on the public. There are several Paiutes who have proven that Yosemite National Park is trying to erase Paiutes out of the history of Yosemite National Park in favor of some of their Indian employees in a non-profit group called the Southern Sierra Miwuks. What one person showed me was that some of Chief Tenaya's band of Ahwahneechees were from NEVADA. Read chapter 13 of his book and then it is in Chapter 18 I think. So I had to go back and check and there it was. He was right. 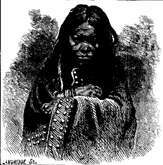 Some of the Ahwahneechees were really Nevada Paiutes, since there is no such thing as Nevada Miwoks. I was blown away. He also mentioned Johnny Calico and it all made sense. It is true. There was no Yosemite Miwoks but Yosemite Indians were outlaw Paiutes from different bands which made them a 'composite' band, not a composite band of Miwoks and Paiutes, but a composite band of different Paiutes from different bands and other Numic speaking people, like Kaweahs. 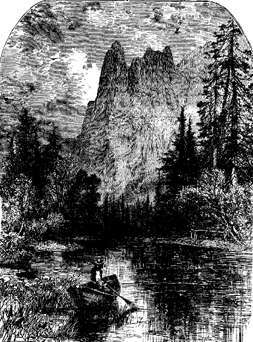 "...what is known about the Yosemite Miwok..." Let's examine that. Submitted by Yosemite_Native... on Sun, 2007-07-22 19:16. Craig Bates, federal employee who worked for Yosemite National Park for over 30 years as their official Indian Ethnologist, while being married to a Miwok woman and dressed and danced in Miwok ceremonial dress, wrote in his book “Legends of the Yosemite Miwok” on pages 77-78 about Dr. Lafayette Houghton Bunnell “But much of what is known about the Yosemite Miwok at that time is derived from this [his] work”. In fact everything we know about the first contact was from Dr. Bunnell writings and this is what he wrote in Chapter 13 of his book Discovery of the Yosemite and the Indian War of 1851, which led to that event, which there is a lot more, remember this is only a sampling. Remember Craig Bates wrote over 100 publications as the official Indian Ethnologist for Yosemite National Park. Most of those publications in many Native people descendent of Yosemite Indians eyes are false and biased because he had a personal interest in the Indian history of Yosemite. There are so many ‘implied’ or out right mistakes that because of his long tenure at Yosemite, and it is sad to many of us Paiutes that the Yosemite National Park service, the Yosemite Fund and the Yosemite Association still uses Bates’ work as source reference material.